Calcot Park Golf Club is a historic and traditional member’s golf club having been designed by the legendary Harry S. Colt opening in 1930. Its parkland setting enhances the ambience of the course itself and one’s eyes are often attracted to the wildlife when playing the course whilst the changing seasons are complimented by the colours of the trees which abound on the Course. Over many years the Club has invested in improving the golf course and its surrounds to such a level that it now comfortably sits as one the best of its category in the county. The course is rated in the top six golf clubs in Berkshire and we hope you will avail yourself of the facilities on offer at Calcot Park. 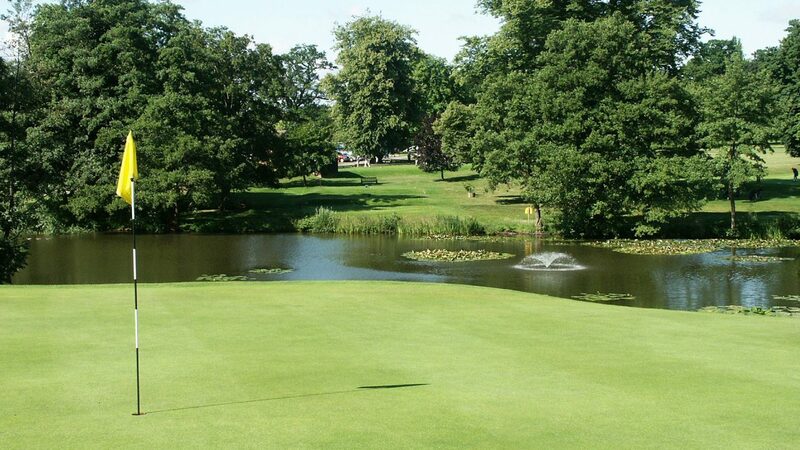 Calcot Park is acknowledged as a demanding, yet fair, test of golf and is one of those ‘must play courses’ for many societies, corporate days and individual golfers alike and a challenge for all standards of player. Whether it’s the golf or even our conference facilities, the members and staff look forward to making your visit one to remember. starting from just £50 per person along with a superb, fully licensed restaurant to compliment your rounds of golf. In the cooler months, (minimum eight players required). Bath Road, heading towards Central Reading. Nearby accommodation is Calcot Park Hotel and Reading Town Centre. Driving range and three practice areas, putting green, practice nets, ample free car parking, conference room, licensed bar and restaurant, terrace, changing rooms and lockers, free Wi Fi and a first class professionals shop.